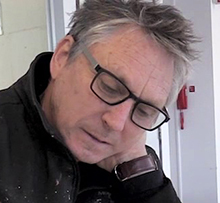 Born in Christchurch, New Zealand in 1956, Euan Macleod studied Graphic Design then worked for The Christchurch Press before following his heart and completing a Diploma of Fine Arts (Painting) at Canterbury University in 1979. He then moved to Sydney with his wife Susan in 1981. Euan Macleod’s symbolic works explore the human figure in the contextual Australian landscape as a psychological state of existence. “When it translates to, well either flesh or water or a surface, so that when you're looking at it you're not looking at beautiful paint, you're looking at matter - physicality." Darkly ominous people and landscapes loom heavily through Macleod’s smeared oil across canvas paintings. 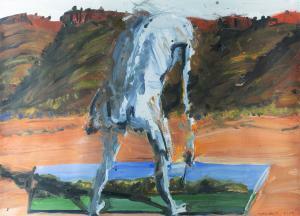 Sombre, evocative representations are the hallmarks of figurative expressionist Macleod’s works. 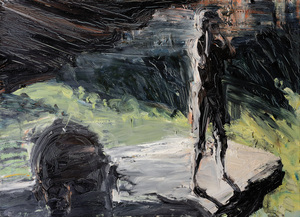 Macleod’s passion for memory and subjective experience is interpreted though the brutal, masculine sweeping gestures he swipes across his canvases. 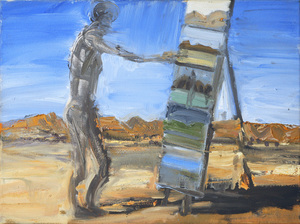 The tangible strength of the artist’s works has at its core, his proficient and intuitive handling of the paint. For Macleod, pushing the paint to reveal form and create colour to create convincing tonal variations in a composition is the most engaging quality in the process of painting. His images evolve from the canvas. Macleod was awarded the prestigious Archibald Prize in 1999 for his self-portrait Head like a hole. He took out the Sulman Prize in 2001 and was a finalist in the Wynne Prize in 1998, 1999 and 2003. The Archibald Prize was the first art competition Macleod had ever won and he found the subsequent attention daunting. “If you’re painting in the studio, taking all those accolades seriously won’t help you produce the next painting.” Macleod says. Macleod has since exhibited extensively throughout New Zealand and Australia and is represented in the National Gallery of Australia, the National Gallery of Victoria, New England Regional Art Museum, Wollongong Art Gallery, Heide Park and Art Gallery, and the New Parliament House Collection and the Metropolitan Museum of Art, New York. 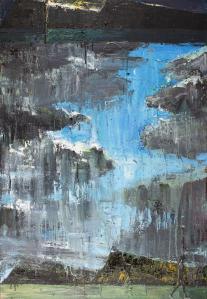 Today, Macleod actively pursues his art and also teaches painting at the National Art School in Sydney.